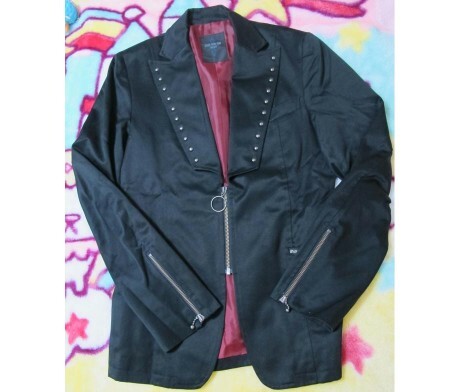 This item has been worn one or two times and is in great condition. 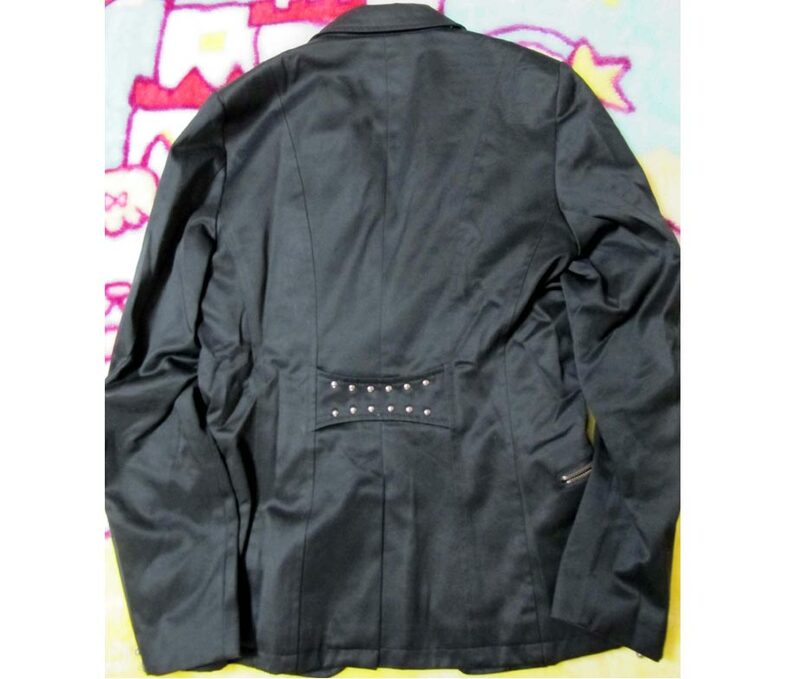 Fully lined cotton jacket with two inner pockets. Two zipper pockets on the outside, one chest pocket. Functional zippers on the cuffs. Ball charm YKK zippers. Back studding detail. 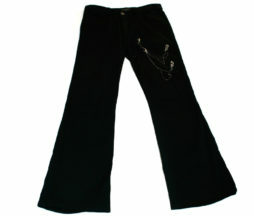 These pants feature a slightly flaired leg which looks great draped over boots or angular shoes. The two pockets on the leg are functional and have zipper closures with a detachable chain on each. The movement of the chains as you walk adds a cool interest point. There is piping on the side seams from top to bottom and I often wore these paired with the piped raincoat also for sale here for a matchy matchy effect. This item is used and there is a bit of shaping happening at the knees from moving around in them, on me they look natural and give a kind of anatomic conformity. I imagine they would conform to a new owner, but be aware of this in case your knee might land in a totally different place. There is also some wear from rubbing on the chains as they sling around while you walk. The chain wear actually looks better now to me than when they were new since they catch light at different points now and have a more antiqued finish.